At first glance on the world map, the Republic of Moldova will most likely go unnoticed due to its size. Bordered by Romania and Ukraine, between the Carpathian Mountains and the Black Sea, Moldova is a small country with only 3.5 million people and a relatively short history of independence. Its key geographical position in Southeast Europe made it attractive for big powers throughout history that sought to command it. Since the collapse of the USSR, a newly independent Moldova has much to offer to its citizens as well as visitors. If you are fond of history, why not visit Tipova, one of Eastern Europe’s largest cave monasteries? It dates back to the 10th Century. Or you could stop to admire the breathtaking valley called Orheiul Vechi, where you can find traces of old civilizations from as early as the fifth Century BC. 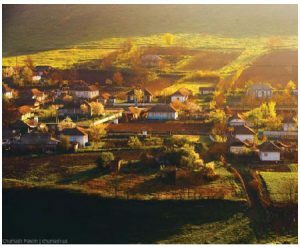 Moldova has become a popular destination for visitors who enjoy a rustic environment and picturesque scenery. And when it comes to visitors, this small country has proven time and again that nothing beats Moldovan hospitality. If you visit, you are guaranteed to savour an overflowing table of local dishes made with fresh ingredients. This country is blessed with a mild climate and rich black soils and the share of agricultural products in its total exports is 45 per cent of GDP, so it comes as no surprise that the quality and taste of its produce is truly outstanding. 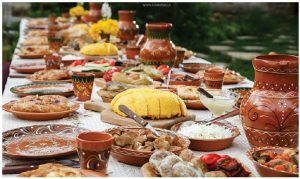 This makes Moldova a great destination for delicious culinary experiences. But what about the wine? Perhaps the most famous attribute of Moldova’s heritage is the wine. Winemaking and viticulture are deeply embedded in the Moldovan patrimony, with evidence suggesting that its ancestors first used grapes to produce wine as early as 3000 BC. 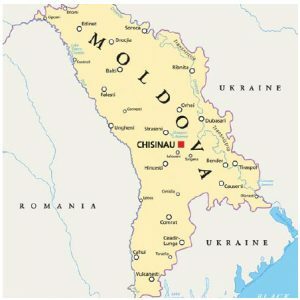 If you look closely at Moldova on the map, you will notice it resembles a cluster of grapes and it is indeed perfectly located to grow them. Given that, Moldovans have become quite talented at producing exquisite wines over the centuries. Moldova now exports top-quality wines all over the world, including Canada. As proof of the popularity of Moldovan wine in Canada, in 2015, our wine exports grew considerably, up 10 times from 2013, and 4.4 times that of 2014. Last year, the LCBO was selling Rara Neagra of Purcari 2013 for $20.95 a bottle and it intends to restock the shelves with a shipment coming in October 2016, so watch for it. In 2012, with 1.5 percent of the world wine output, Moldova ranked 14th in the world in wine production. The country boasts more than 140 wine companies, employing more than 250,000 people. That means more than 67 million bottles of Moldovan wine are exported to more than 30 countries. Red wines edge out white at 55 per cent of our exports. Foreigners seem to enjoy them. The wines have continued to win awards at prestigious wine competitions, including the Decanter World Wine Awards, International Wine Contest and ProWein Düsseldorf. 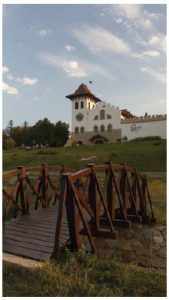 To fully appreciate its flavour, I strongly encourage you to dive into the full experience of tasting wine at one of Moldova’s famous wineries. They have become so popular that the country has developed a successful wine tourism sector, an excellent opportunity for wine connoisseurs. Perhaps the greatest difficulty will be to choose your favourite: Moldova has 148,000 hectares of vineyards. That’s more than the 120,000 hectares of Bordeaux grapes growing in France. So it shouldn’t come as a surprise that Moldova is also home to the world’s largest underground cellar and wine collections. Some of the storage cellars, with mazes carved in limestone, span hundreds of kilometres underground. 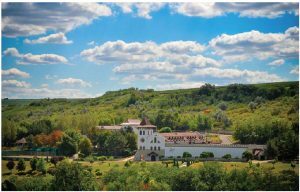 One of the wineries definitely worth visiting is Milestii Mici, located 20 kilometres south of Moldova’s capital, Chisinau. With more than two million bottles stored at a depth of 80 metres, its cellar stretches out for nearly 200 kilometres underground. In fact, it boasts the world’s largest wine collection, according to Guinness World Records. A smaller, but perhaps equally impressive and certainly more popular winery, is Cricova. Its cellars span more than 120 kilometres underground, with perfect temperature and humidity conditions all year round. It also includes a very exclusive one-of-a-kind collection of wines, including a 1902 Jewish dessert wine. The list of famous guests who have visited Cricova include German Chancellor Angela Merkel, Russian President Vladimir Putin, U.S. Secretary of State John Kerry and Soviet cosmonaut Yuri Gagarin, who once famously joked that he found it easier to leave the planet than the Cricova winery in Moldova. As mentioned, in Canada, mainly in Ontario and Alberta, you can taste Rara Neagra of Purcari, produced by Chateau Purcari, which also has a famous winery in Moldova, located 120 kilometres southeast of Chisinau in the Dniester region. Today, Purcari sells 65 per cent of its wine in the EU, thanks to a strong growth in demand from countries such as Romania and Poland. Purcari has earned, over the decades, more than 160 medals at the most prestigious international competitions, such as Decanter, Challenge International du Vin, Concours Mondial de Bruxelles and International Wine and Spirit Competition. Purcari wines are produced only in limited editions and are matured exclusively in French oak barrels, according to the strictest canons of traditional viticulture. In addition, the winery now offers luxurious guest suites and a great restaurant in which wine aficionados can indulge during a weekend escape outside the urban area. Rewarding tastings and tours can be staged year-round. I would strongly recommend Chateau Purcari to Canadian tourists. And, while we’re on the subject of Canadians travelling to Moldova, you don’t even need a visa. Finally, another winery worth visiting is Chateau Vartely. 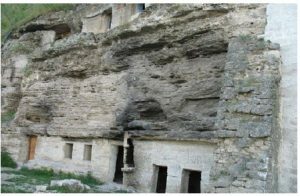 Located about 60 kilometres north of Chisinau, it occupies a private spot near the city of Orhei. With a wide selection of red and white wines, you can sample a bit of each while enjoying Moldovan hospitality in one of its 12 wooden bungalows with private terraces and sitting areas. Indeed, Moldova takes great pride in its wine culture — so much so that each year in October, it hosts the famous Moldova’s Wine Festival, where you can enjoy not only well-known favourites such as Milestii Mici, Cricova, Purcari and Chateau Vartely, but also emerging brands such as Fautor, MiMi, Et Cetera, Gitana and Equinox. With a delicious range of red and white, sweet and semi-sweet, dry and sparkling, Moldova is gradually building its brand awareness. In 2013, it created the National Office for Vine and Wine, with the goal of promoting its wines in national and international markets. In fact, you can also find a national brand “Wine of Moldova” aimed at increasing visibility abroad. Indeed, in terms of wines, Moldova has a lot to offer. But one must not forget that a country with such rich soils and hardworking people has plenty of other products worthy of international acclaim. For example, Moldova has partnered with the European Union to promote its produce in Europe. In 2014, it signed an association agreement with the EU, which includes a free-trade area and grants it access to the biggest market in the world. This has helped grow its exports to 65 per cent from 52 per cent in 2014. By comparison, the share of the former USSR market for those Moldovan products favoured by the EU market has dropped by more than one third since 2014. The European Investment Bank offers financial incentives to develop Moldova’s export sector, which finances up to 50 per cent of investments in the agricultural sector, including the wines, of course. Investors from as far away as China, South Korea and Nigeria are showing interest in investing in Moldova and now, Moldovan wines are slowly gaining recognition in North America. My small country between Romania and Ukraine may not be the most visible on the world map. In fact, if you ask a foreigner about Moldova, there is a good chance they will point to the famous islands in the Indian Ocean, 6,600 kilometres away. 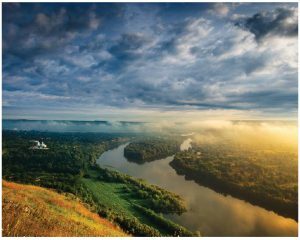 But if you enjoy a nice glass of wine, picturesque scenery, delicious food and pleasant company, Moldova is a great place to start, especially for those who are tired of the beaten path. Ala Beleavschi is Moldova’s ambassador to Canada.